Obtaining a Master in Criminal Justice (MCJ) degree is the next step for all those individuals who are looking to advance their careers in this field. This degree is intended to help students focus on a particular aspect of the field. 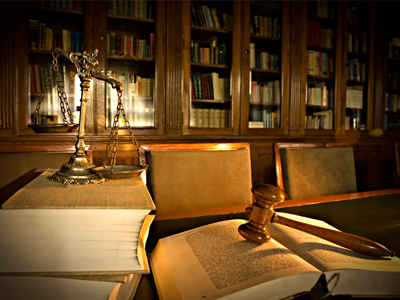 That involves taking a deeper look at the administration of justice in society, and examining the numerous personal and societal issues that influence crime and the administration of criminal justice.Online programs in criminal justice afford busy individuals with the chance to further their qualifications on their own time, without restrictions. If you’re interested in online MCJ programs, read on to find out more. The MCJ is an advanced post-graduate degree, which teaches students how to analyze data regarding the criminal justice system, interpret what it means, and project trends. These skills are an important aspect of understanding how the system works. Management level jobs require individuals to have such an understanding. Most programs are made up of certain fundamental, core courses as well as electives. Students may also choose to pursue the MCJ with a concentration in homeland security, terrorism, or cybercrime. Core courses build upon the basics of the criminal justice system. Electives offer students the ability to take a certain number of courses of their own choosing. These may be chosen out of pure interest or because they are beneficial for particular career objectives. If you’re wondering whether or not to pursue a master’s in criminal justice, here are a few points that might help you out. Candidates must do careful research into the universities, which offer online MCJ program. Determine what foundation courses, elective courses, and practical requirements each university has before making your decision. Another very important thing to consider is accreditation. In order for your degree to be recognized and your credits to be transferable, the university and its program must be accredited by the appropriate regional body. If your application is successful, it is likely that the college or university that you are applying to will ask you to appear for an interview. Online programs are just as, if not more, rigorous than traditional on-campus programs. Students are expected to carry out advanced research, stay abreast of all current happenings in the criminal justice system, and undertake a wide range of challenging and demanding courses. Students are given access to study materials online. This includes lectures, access to online libraries, discussion forums, etc. In addition, just like traditional programs, online MCJ program also has comprehensive examinations, practical tests, and final thesis. A master’s in criminal justice typically takes around 2 years to complete. It typically requires 30 to 45 credit hours of coursework. Programs are made up of core courses and electives. There are 3 different types of master’s in criminal justice and each has a different curriculum. The M.S.C.J, as the name suggests, has a stronger focus on the sciences. It offers students the option of specializing in areas such as forensic psychology, cyber-crime and behavior analysis. The M.A.C.J program has a stronger focus on the humanities. It offers students an in-depth understanding of the administration of law enforcement, public policy, and legal studies. This program also explores the many ethical and moral issues involved in the understanding of social responsibility. The M.C.J combines both the science and humanities aspect of criminal justice. It is important to note that some of these positions may require candidates to have additional work experience or qualifications. The field of criminal justice has the benefit of being a relatively stable field. This is due to the fact that social order and public security are two very important objectives for governments at the local, state, and federal levels. Earning a master’s degree in criminal justice is an important step towards advancing your career opportunities and earning potential. The program is composed of many intellectually demanding and stimulating courses, all designed to give candidates a thorough appreciation of the complex dynamics of the criminal justice system. There are a number of quality online universities and colleges, which offer the M.C.J degree. This option is particularly suited to those candidates who, due to time constraints, cannot afford to attend on-campus classes.